Long Eaton Round Table will again be organising one of the best firework displays in the East Midlands on Friday 5th November 2010. All proceeds to go local charities. 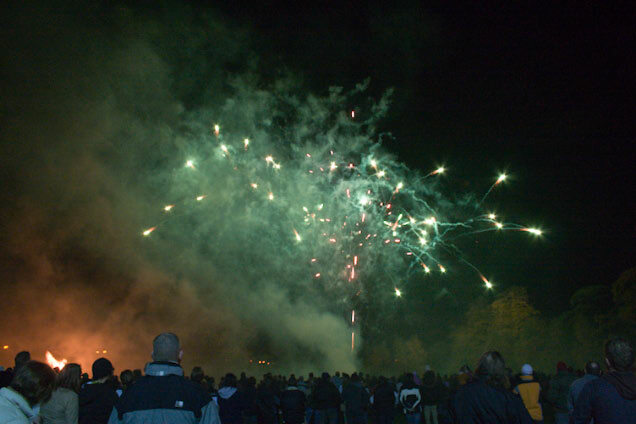 As well as fantastic display of pyrotechnics and a bonfire to enjoy, food and drink will be available to keep out the winter chill. Venue is the Treetops Hospice, Derby Road, Risley. See map below. Gates open at 6pm. Bonfire lit at 6-30, with a Guy Parade by local schools. Fireworks start at 7-30. Admission is £4 for adults, £2 for children. Hello, I just wanted to know who the firework company is, who will be doing the fireworks display this year? just wondering if there’s anywhere to park nearby? There’s no actual car parks, apart from a couple of pubs, but most people simply park along Derby Road.